Jedidiah Robbins is a man on a crusade. From town to town, his Gospel train rides the rails of 1920s Appalachia, spreading the Good News with his daughter and a loyal group of roustabouts in tow. 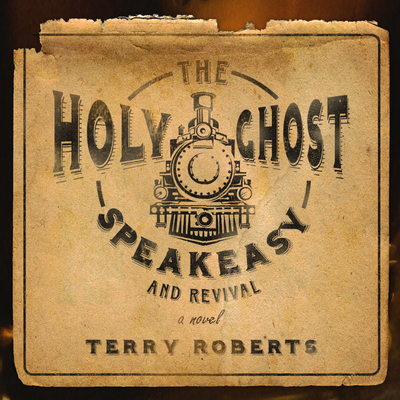 But Jedidiah's traveling revival company has a secret: in addition to offering the gifts of the Holy Spirit, it also delivers spirits of another kind. Prohibition is in full swing, but The Sword of the Lord train keeps the speakeasies in the towns it visits in business by providing the best that mountain stills have to offer. While beyond the gaze of federal agents, the operation eventually runs afoul of an overzealous small town sheriff and a corrupt judge, setting in motion a series of events that could land them all in chains. Told with haunting lyricism, this is the story of a preacher full of contradictions, a man for whom the way is never straight and narrow. It bends like the river, a river that leads him in the paths of a different brand of righteousness-and perhaps even to salvation.